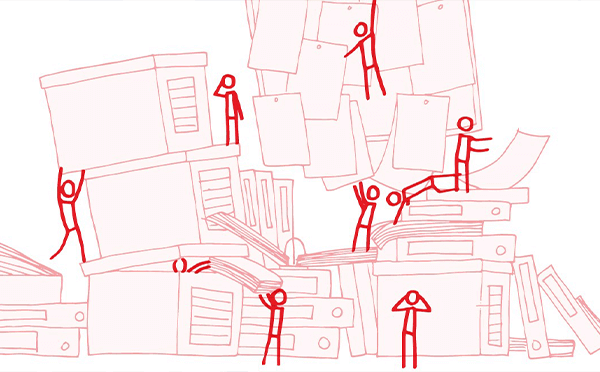 Choosing your CRM platform: Is your organisation ready to join the Paperless revolution? Leeds, UK, 18th February 2019 – With recent dramatic technological advances and the rise of millennials in the mobile workforce (more on this topic in the coming weeks, stay tuned), new software solutions have become an essential element in helping businesses save money, contractor time and improve customer satisfaction. Advanced CRM systems fill the ever-growing need to find cohesive and simple to use systems to organise numerous contractors, suppliers, invoices, their related costs, and the resulting paper trail. Where traditional methods of managing a mobile workforce often involved a dizzying array of papers and phone calls; missed appointments and a less than ideal first-time fix rate, new fully mobile systems, like BigChange’s JobWatch, can make a significant impact on these critical factors driving customer retention and satisfaction. CRM software is the process which brings all these parts together. Through the integration of CRM platforms, such as BigChange’s JobWatch, service providers gain a new level of system-wide transparency never previously possible. A holistic approach to field service management must include features which give customers greater access to time-sensitive updates, transaction history and detailed inventory of service calls, while also enabling the back-office to quickly create invoices and detail service reviews for billing. With a range of CRM options out there it may be difficult to determine which one best meets your organisational needs and goals. Some important questions to think about in choosing the right platform for your unique service requirements include the following. Do you need a system which includes features such as, Job Scheduling and Mobile Apps which provide greater visibility to back-office personnel? 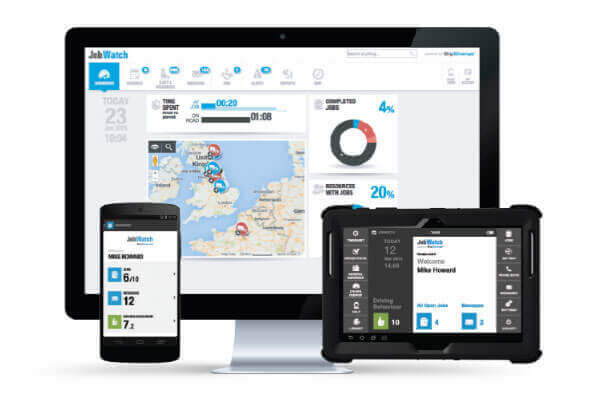 Would it be valuable to have tracking for drivers and field operatives connected in real-time to cloud-based operational management software? Do you need a customer portal to provide additional service updates, inventory records, and complete transaction histories? Is it valuable to have a built-in navigation function which alerts customers and back office in case of delay? Would your business’s operational cost decrease through comprehensive driver behaviour analytics and individual feedback? If you have answered yes to these questions, it is very likely that a dynamic CRM system, such as BigChange’s JobWatch, could save you upwards up 8 hours of back-office time, per mobile worker per month, as well as a 10% reduction on fuel costs and a significant reduction in time to produce and process invoices. If you are interested in learning more about how BigChange can assist your business to plan, manage, schedule and track your mobile workforce please go to www.bigchange.com.